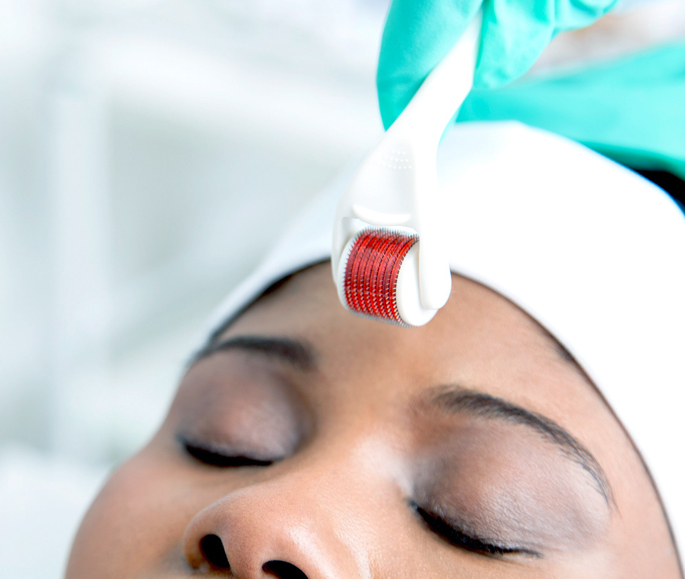 Microdermabrasion is a general term for the application of tiny rough grains to buff away the surface layer of the skin , a term you might know as exfoliation. Combined with a good facial using the correct product it can be used as salon treatments and can be carried out at home with creams and scrubs. It’s usually done to the face, chest, neck, arms or hands. 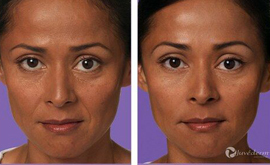 Before we can understand how microdermabrasion works, it’s important to understand how skin works. Your skin is made up of two main layers, the epidermis and the dermis. The epidermis is the layer closest to the outside world. It’s a set of dead skin cells on top of another layer of cells that are in the process of maturing. The topmost layer is called the stratum corneum. The stratum corneum mostly acts as a barrier between the outside world and the lower skin layers. It keeps all but the smallest molecules from getting through. In order to get the best results with product penetration we need to remove the stratum corneum which is the first dead cell layer of the epidermis. 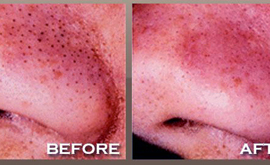 Receive Microdermabrasion consultation free of charge! Contact us today to receive Microdermabrasion consultation free of charge by one of our highly experienced therapists. Socially connect with us and receive daily updates on our specials & promotions. 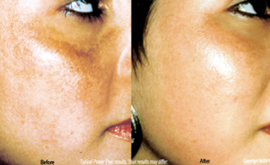 Microdermabrasion or MBD is a non-invasive, non-chemical skin renewing technique to help with sun damaged skin and the negative effects of aging. 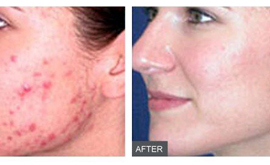 The first step involves removing the excess oil of the surface of the skin. 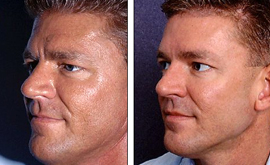 MDB is a process of suction combined with a gentle abrasion (tiny crystals are sprayed across the face like a sandblasting effect) to remove any dead skin. MDB promotes the new growth of collagen and the skin will feel renewed. Environmental damages such as UV rays, pollution and so much more are our skins biggest threat. 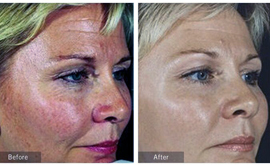 MDB can be used for many skin problems such as age spots, fine lines, light acne scars, pigmentation and wrinkles. 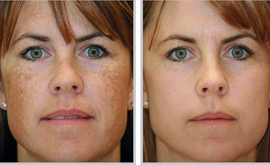 How long is a Microdermabrasion treatment? The treatment consists of a 60 min facial in which the MDB is included. The client will experience a change in the skin after the first session and to maintain the results the client will require further treatments over a period of 3-6 weeks. 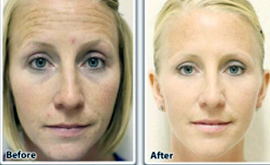 Is Microdermabrasion a painful procedure? No, the aluminum oxide crystals that are used feel like a gentle exfoliator. The client should only notice a tingling sensation and some warmth. How many treatments would be needed to achieve the best results? Most clients need about 6 – 10 sessions every second week for optimal results. Maintenance will be needed every 2-3 months. 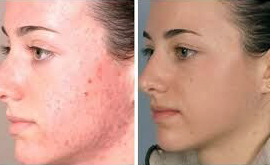 What is the aftercare treatment for Microdermabrasion? Directly after the treatment: Apply a hydrating moisturizer as the skin might be feeling dry for the first day. Avoid the sun for at least 7 days as the skin is thin and sensitive. The client might be red for a few hours before it subsides. Avoid harsh exfoliation methods for 3-4 days. 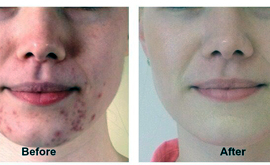 After prescribed treatments: Make sure to have a good facial regime and do a maintenance treatment once every 3 months. What are the contraindications to Microdermabrasion?